That is an incredibly long name for a shake. However, as it does feature the words "cookie dough," I am willing to overlook it. 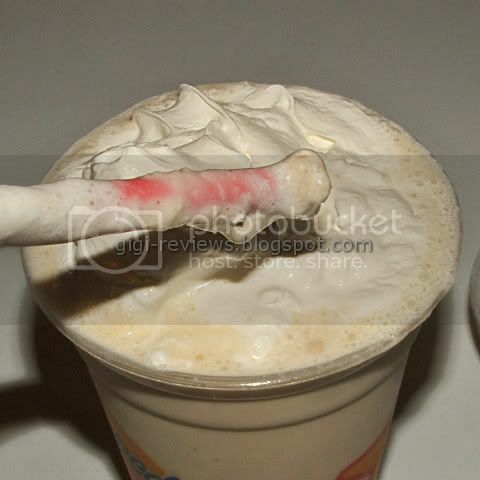 Carl's Jr milk shakes tend to be hit or miss. Example, the Oreo shakes are pretty tasty. The orange cream shake? Eh, not so much. So I tend to try their new shakes with lower expectations than I do with other chains (sorry, Carl's, the truth hurts). But I always give points to Carl's Jr for still using REAL ice cream in their shakes. 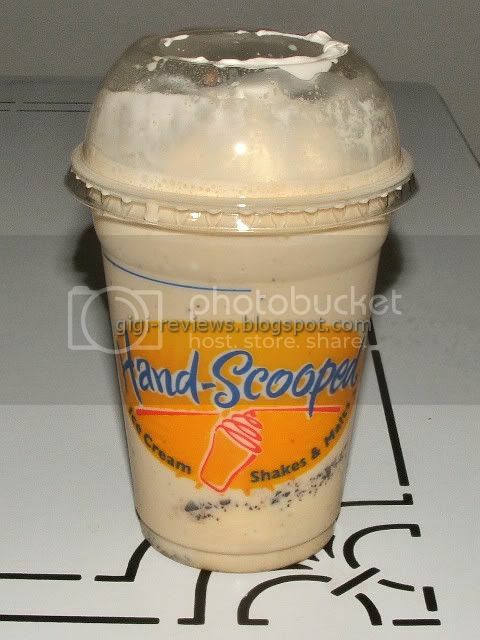 This cookie dough shake is a vanilla ice cream shake base with chocolate chip cookie dough, and topped with "whipped topping." I really wonder why Carl's is willing to spring for real ice cream, but real whipped cream seems to much to ask. I hate "whipped topping," and if not for the sake of review, would ask that it be left off. So how does it taste? Sweet! But in this case I mean that in the best possible way. The shake really does taste like a liquid version of cookie dough. Yes, that is as awesome as it sounds. The little specks of blended-up dough add a nice bit of texture to the otherwise rich and creamy shake. There's a nice vanilla aftertaste. All around, very indulgent and very tasty. You know what? Even WITH the dreaded "whipped topping," I really loved this shake!